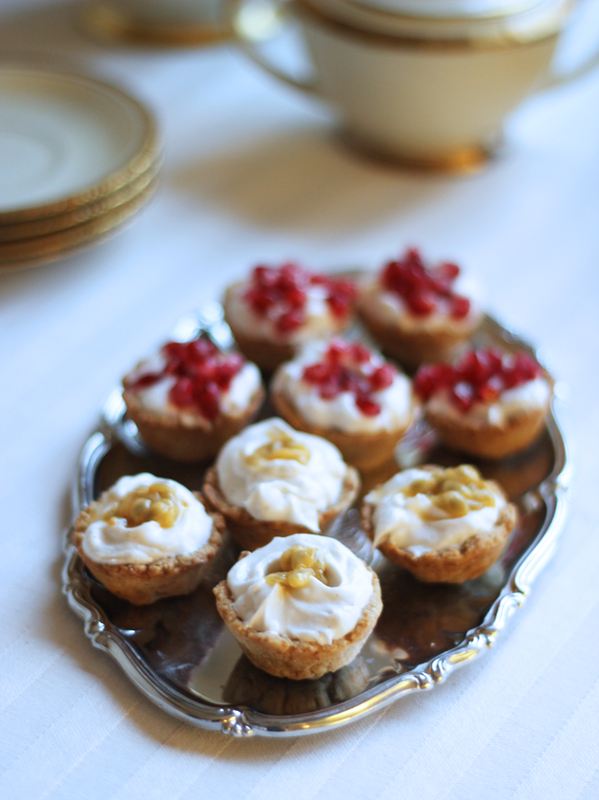 In time for the first fruits and berries of summer, I’m sharing this elegant creme cup recipe. This recipe can be made entirely gluten free by replacing the small amount of white flour with almond flour or any other flour to your liking. Enjoy on its own or make part of a pre-summer afternoon tea menu. Add all dry ingredients to a bowl and mix evenly. Add coconut oil and work through evenly with the flour until you have a crumbly and grainy dough. Add cold water one tablespoon at a time and work together to a firm dough. Let the dough rest in the fridge for an hour. Once the dough is ready, divide it into 14 equal sized pieces. Use a mini-cupcake mould and create 14 small cups in the mould. Bake until golden in a pre-heated oven at 200 degrees C.
Let cool down completely before you add the vegan cream filling. Mix vegan whipping cream and rose water evenly. Whip the vegan cream until it’s nice and airy. Let set in the fridge for an hour or so. Add a dollop of vegan cream to each cup. With the spoon, create a small cavity in the center of each dollop of cream. Add pomegranate seeds and passionfruit to each cream cup. Either or, or use both.